In a nut-shell, we are Assemblies of God Missionaries to SCOTLAND! Born and raised in NJ, we served as Youth Pastors and Young Adult Workers before heading off to the mission field in 2007. We believe missions is the heart-beat of God! That every person in every country deserves a chance to hear about the GOOD NEWS of Jesus Christ. Our first term in Scotland landed us just outside of Glasgow, where we served the Scottish AG in many roles including: interim pastoring, supporting local church plants, web, media, graphics training, organizing kids clubs, youth events, University outreach, Alpha Course… and the training up of young leaders. In October of 2011 we landed back in Edinburgh Scotland and began the journey of settling in to a new city. It has been an adventure especially with two little ones. 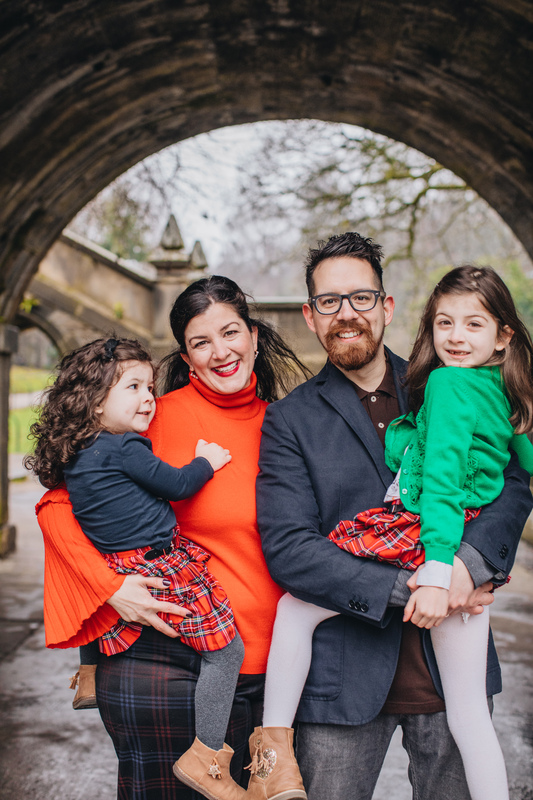 We began Bridge Family Church a church plant in City Center Edinburgh, with just our small family. We are in our third year of our church plant now! We love how God is growing our church, expanding our reach and giving us favor in our City. Weekly we: host various toddler activities, run chaplaincy for the Edinburgh University Soccer Team, host small groups in our home, serve as Pastors of BFC and execute creative outreach in our City. We look forward to planting new church campuses throughout Edinburgh in the years to come. Please continue to pray for us…for provision, fresh ideas, growth and our personal family health & safety. Thank you to the many church and individual partners who faithfully support us month after month. We couldn’t do what we do without you all!